I’m Ed Smith, a Sacramento Personal Injury Lawyer. When someone drives past an auto accident, they often wonder whether or not emergency personnel is going to respond to the scene and assist the people involved. This is because almost everyone understands that there is the chance that someone could suffer a serious injury if they are involved in an auto accident. One of the most serious injuries that someone might sustain is called an atlanto-axial subluxation, an injury that could possibly result in death. A recent series of case reports were published in the literature describing how people can sustain this injury if they are involved in an auto accident. What is an Atlanto-Axial Subluxation? Atlanto-axial subluxation is the term given to the misalignment of the first and second cervical vertebrae of the spine. The first vertebra is called the atlas and the second vertebra is called the axis. The second vertebra is connected to the first vertebrae like a nail in a piece of plywood. These are the first two vertebrae in the entire spinal cord, resting directly beneath the brainstem. Some people are at greater risk of suffering this subluxation if they have congenital atlanto-axial instability, a common disorder seen in individuals with Down Syndrome. When someone develops this subluxation, they could notice a wide variety of symptoms depending on the severity of the injury. Some people could have a vague headache, neck, or back pain. If this traumatic injury is not corrected, it could lead to chronic pain. If the misalignment between the two vertebrae is particularly severe, this injury could lead to spinal cord compression at the cervical level. People could notice changes in the heart rate, breathing rate, or blood pressure, possibly resulting in death. How Do People Sustain Injuries to their Atlas and Axis? Diving: One of the most common ways that people sustain injuries to the atlas and axis is by diving into a pool that is too shallow. Most people have seen the warnings on the edges of shallow pools that say “no diving” due to the depth of the pool. This is because if people dive into a pool that is too shallow, they could strike the bottom before they surface. In this case, people could hit their head on the bottom of the pool. These forces can lead to a series of compression bone fractures involving the atlas and axis, leading to the two vertebrae impacting the brainstem. This can quickly result in a wrongful death. Auto Accidents: People can also develop traumatic atlas and axis rotary injuries when they are involved in an auto accident. When people are driving and collide with a car or object in front of them, they feel the sudden change in momentum. Fortunately, if they are wearing their seatbelt, their body is restrained from striking the steering wheel and dashboard in front of them; however, there is no such belt for the head. Because of this, people can strike the steering wheel or dashboard with their head at extreme forces, potentially leading to atlanto-axial subluxation. A team of medical professionals published two different case reports where individuals sustained these serious injuries in auto accidents. The first individual was a female driver in her mid-30s. She entered a construction zone while driving at high speeds and collided with a concrete barrier. Her car rotated multiple times and her head struck the window of the vehicle. The second individual was a teenage male who lost control of his vehicle in the middle of the night. His vehicle struck a tree head-on. In both cases, the individuals were managed with a cervical collar at the scene which was used to immobilize the spine and prevent further damage. The patients were transported to the local hospital where pain medication was given and imaging procedures were performed. In both cases, imaging revealed damage to the atlas and axis. The two vertebrae were rotated completely out of alignment with each other along with damage to the associated ligaments and facet joints. Fortunately, the degree of misalignment was not severe. The patients were immobilized in a collar for six weeks to allow the injuries to heal. Both individuals made a full recovery and were able to return to their normal activity. Other people may not fair as well. When people make the decision to drive while seriously impaired, they are placing not only themselves but other people at risk. This can lead to serious injuries that could have otherwise been avoided. Therefore, it is important to speak with an experienced Sacramento personal injury lawyer to learn more. Medical bills can be expensive and it is important to learn about all of the options available for covering these costs before making any decisions. 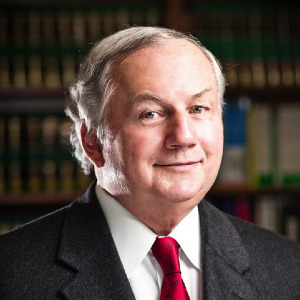 I’m Edward A. Smith, a caring and experienced Sacramento Personal Injury Lawyer. If you have developed spinal trauma in a traumatic accident of any kind, please call me at my office for free, friendly advice. I can be reached at 916.921.6400. The Million Dollar Advocates Forum of California has invited me into its ranks. Many of the top legal professionals in the country have come from our forum. The professionals inducted into our section have won verdicts and/or arrived at settlements worth over $1 Million Dollars. All of my viewers are asked to look at my history of verdicts and settlements here. Every individual should glance over reviews from earlier customers, saved on Avvo, Yelp, and Google. 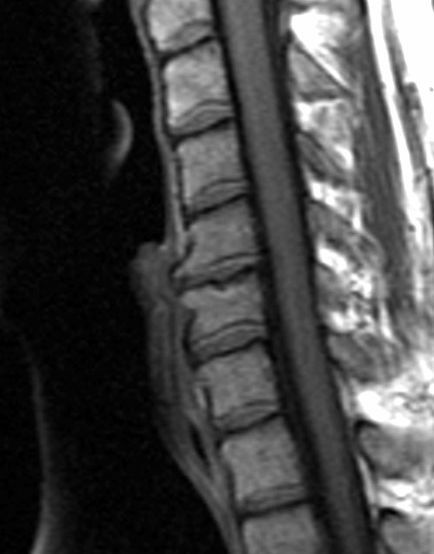 Image Source: This MRI was located first on Wikimedia Commons and has been printed under the 3.0 version of the Creative Commons License.